Different solar energy technologies exist, each with their own specific benefits. 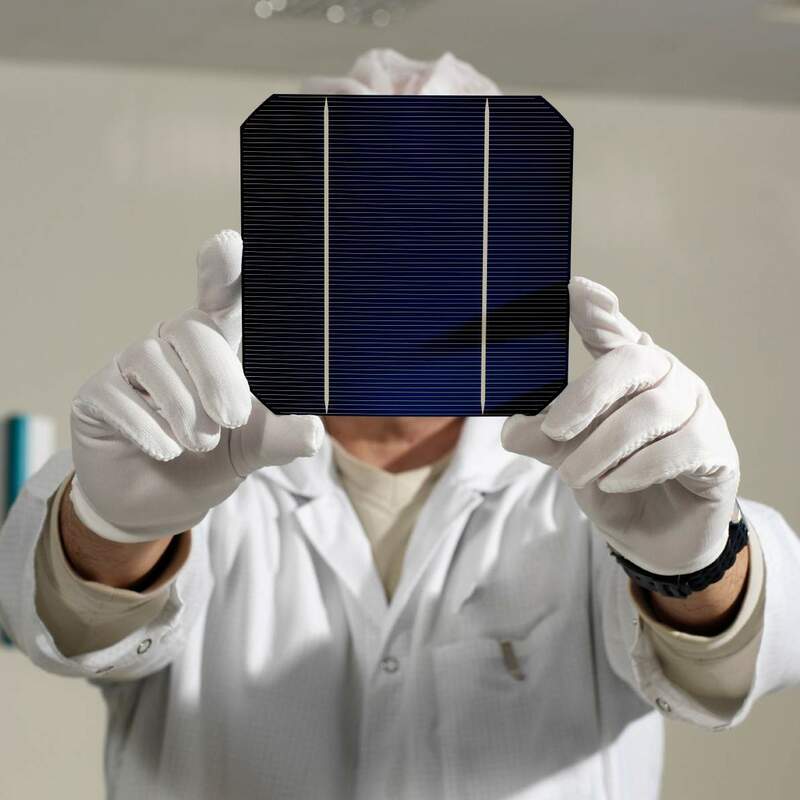 The most prevalent technology is photovoltaics, also simply known as PV. PV panels (solar panels) generate electricity. We have chosen to focus our efforts primarily on deploying solutions built around PVs. Often our solutions also incorporate energy storage. The world’s energy demands are increasingly moving towards electricity-based economies, and applications that used to rely on fossil fuels (e.g. heating or transportation) are migrating to electricity. PV systems produce electricity directly. 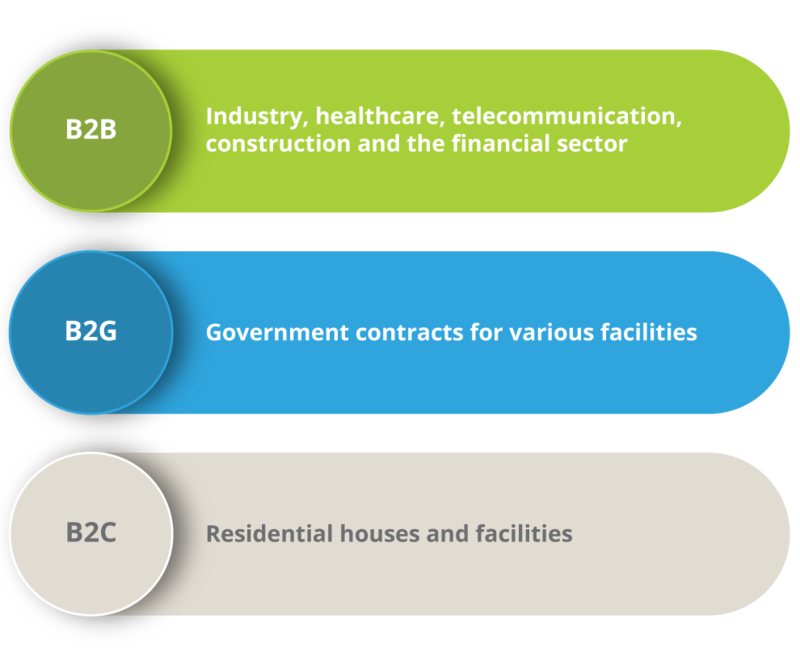 Production of PV panels, inverters and associated solar system equipment are all considered mature industries with several producers worldwide. However, the quality of each component varies significantly from producer to producer. Fundamental to Living Energy’s procurement strategy is to ensure our customers always receive the best quality at the right price. We refuse to compromise on quality as experience shows it never pays off. In a PV system, downtime or a short lifetime decreases the economic benefit of the investment. 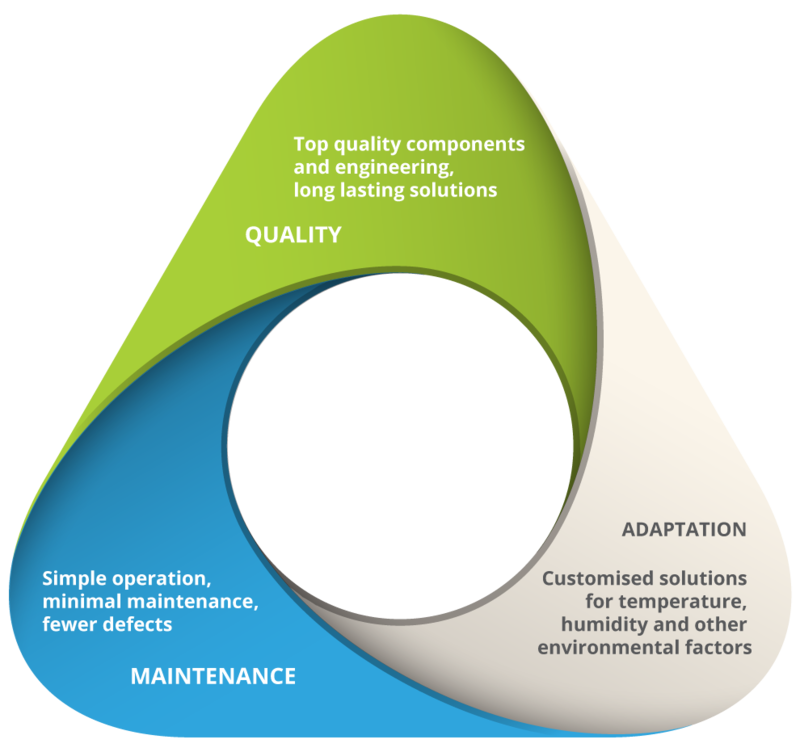 Therefore, our solutions are designed around three pillars shown in the graphic below. These focus areas are proven to be key to successful PV projects and are a fundamental part of our project DNA. Welcome to the world of modern energy. 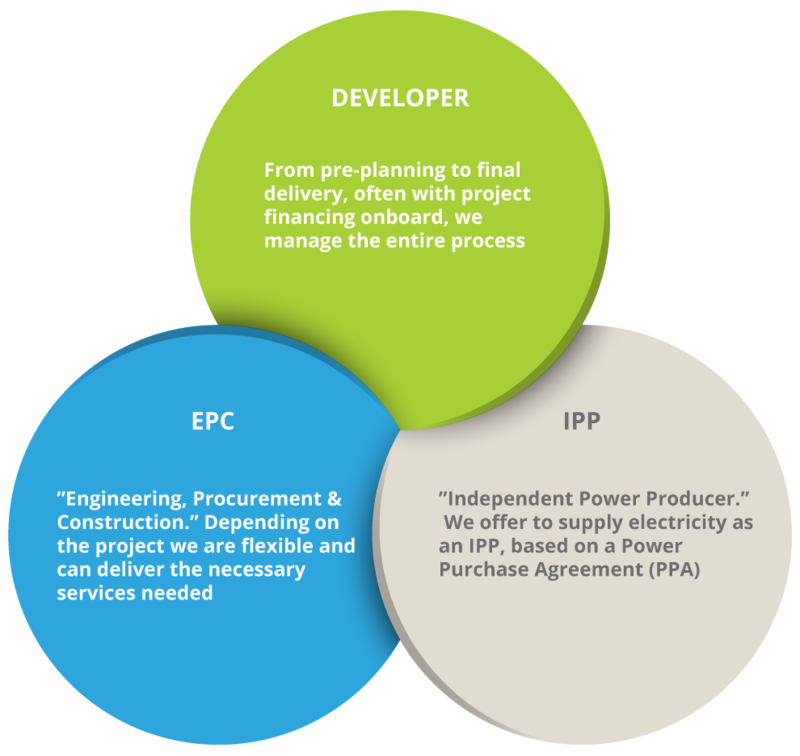 Generally, Living Energy works as a developer, developing projects from early stage to ready-to-build, often with financing onboard. Simply put, Living Energy engages in delivering turnkey solar solutions based on PV technology in the global marketplace. The graphic shows the segments Living Energy works with to deliver state-of-the-art renewable energy solutions. Around the clock we strive to bring clean, modern energy to the world, with a particular strategic focus on Africa, Asia and The Caribbean Islands. Europe is no longer the dominating region in clean energy investments. In 2015 European investments slipped 21% to $49 billion while spending in the rest of the world boomed to a record of $329 billion. China, is the world’s dominating clean energy investor followed by the rest of Asia who surpassed both Europe and the US for the first time in 2015. The Middle East and Africa recorded a 58 percent rise in investment in 2015, to $12.5 billion. It is remarkable that these increases were achieved during a time of historically low fossil fuel prices and changing policies on government subsidies. Of the different renewable technologies, only solar and wind power saw an increase in investment in 2015. Wind power investment rose 4 percent to $109.6 billion and solar gained 12 percent attracting almost $150 billion as the top recipient (excl. hydropower). Copyright © 2019 - Living Energy International A/S or its affiliates. All rights reserved.